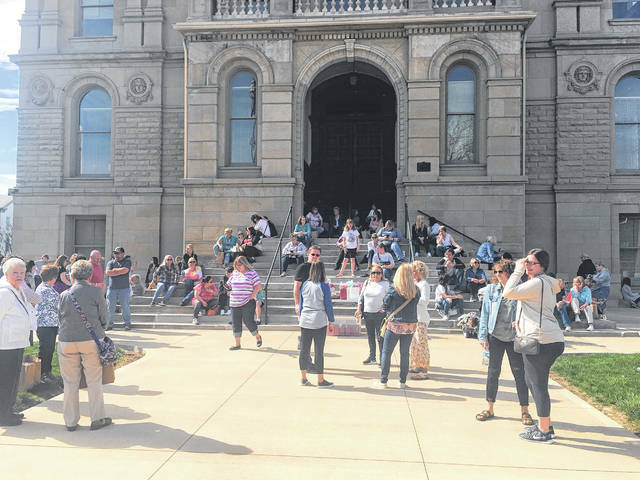 The fourth-annual Chocolate Walk was held on Saturday in downtown Washington Court House. 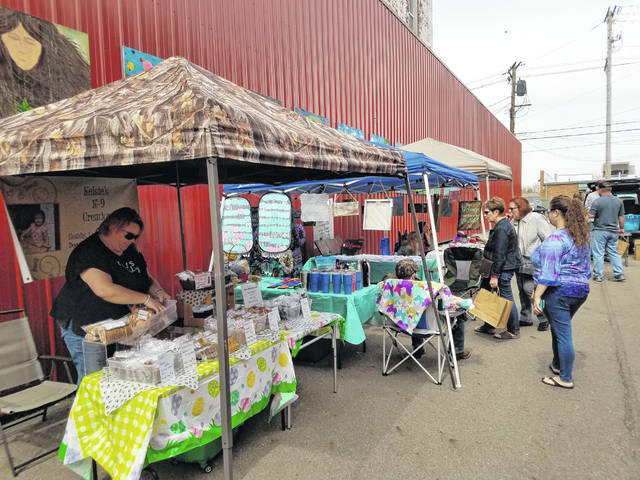 Around 30 businesses were involved throughout the day. 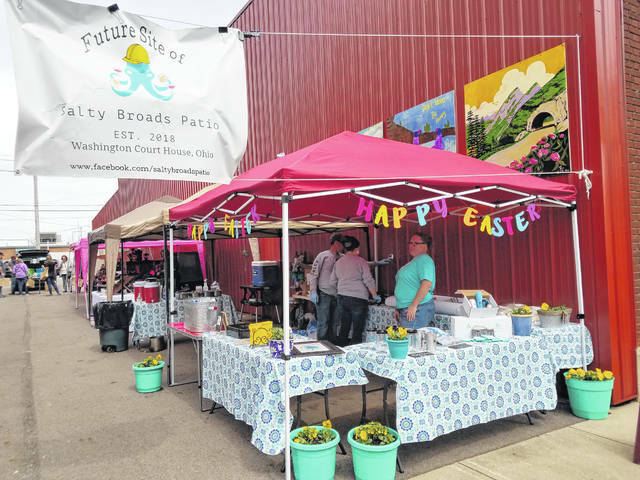 Downtown was busy throughout the day with vendors and patrons enjoying the many delicious treats. Tamara Hall checked in Sallie Sparks around noon on Saturday where she received a goody bag prior to visiting the participating business. Steve Schiltz passed out bags of chocolate during the day. 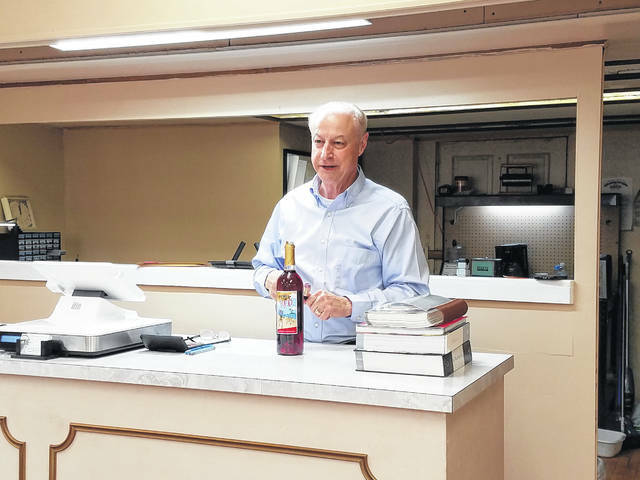 He can be seen helping another business open a bottle of wine as they all enjoyed the Chocolate Walk. 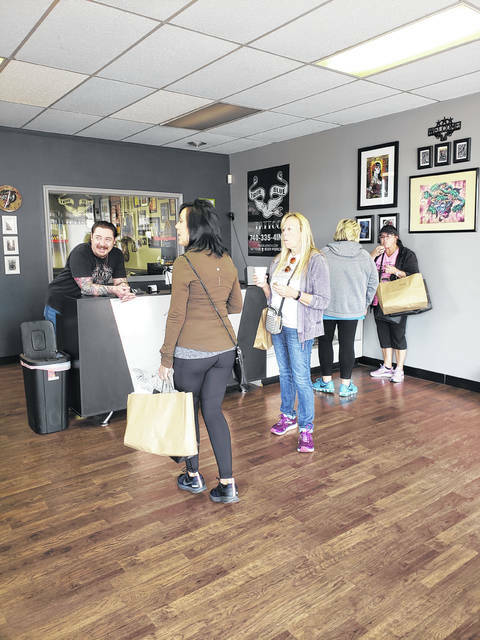 Terry Gruber — owner of True Blue Tattoo — met with many patrons of the event. 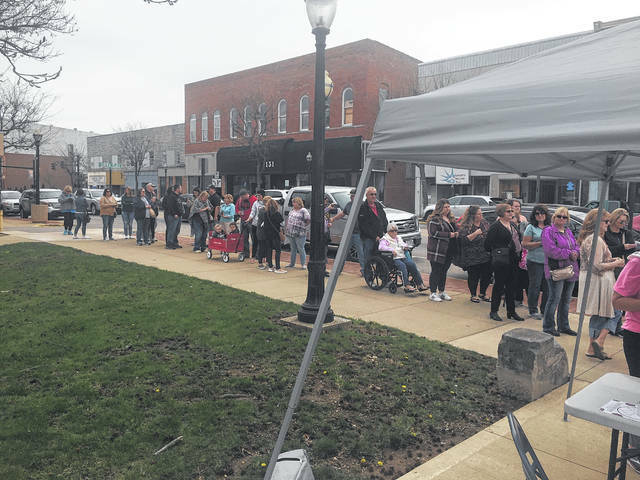 A line formed shortly before the start of the Chocolate Walk on Saturday morning in front of the courthouse. 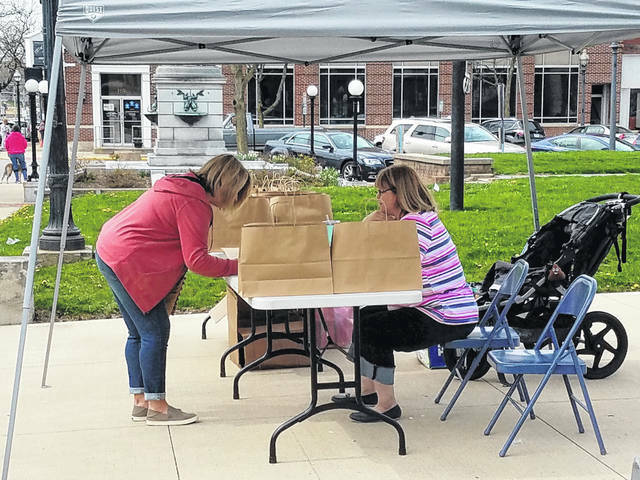 Near the end of the day, the participants gathered back at the courthouse where a prize drawing was held.